From the previous articles, you can begin to see that the yoga pose benefits lie as much within the 'process' as it does within the 'end result'. As the saying goes, "the journey is as important as the destination". Well, I would qualify that by saying that the destination, that being the perfection of the posture, is still the ultimately important aspect of asana. Remember, however, the definition of perfection suggested by Patanjali in The Yoga Sutras, "absorption into a steady, fixed position," wherein one has "transcended the pairs of opposites," or risen above distractions of the body and mind. But what else do asanas do? They act physically on the nerves, glands, muscles, and other physical structures of the body to affect them in many positive ways. We cannot go far along a path of evolution if we are burdened with ill-health. We must take care of our physical body, the vehicle within which to pursue higher understanding -- the attainment of which will allow us to ultimately transcend the physical form. A healthy body is a necessity in the yoga life. "The body always wears away like an unbaked clay pot placed in water. 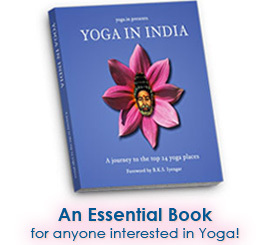 Therefore one should cultivate bodily fitness by tempering it with the fire of yoga." Throughout this course, you will be instructed in the practice of several different asanas and their variations, and be given insight into the various healing capacities of each particular practice or group of practices. On an energetic level, asanas affect the health of the nadis (energy system), and the flow of prana within the energy body, purifying and cleansing the body and re-directing this energy in various ways, for various purposes. On a psychosomatic level, we know that the body and emotions interact with each other. Since our mental and emotional state can affect our body, then our body can also affect our mental and emotional state as well. 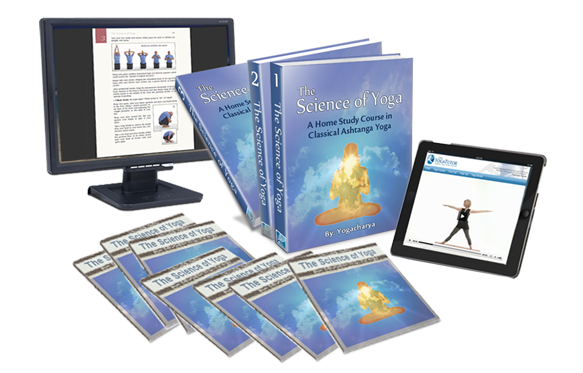 Therein the asanas provide therapeutic potential on the subtle levels of the body-mind complex. Therefore, the postures can influence the being on many levels (mental, physical, emotional, etc.). They can be tools for manifesting infinite things: physical health, awareness, balance and harmony, stability, detachment, insights, higher realizations, and ultimately, spiritual evolution. In general, the higher the level of subtle benefit, the more time that is necessary within the pose, and hence, we come full-circle back to Patanjali’s original directive of "sthira sukham asanam," or the attainment of a pose that can be held steady and comfortably (for a long period). If performed too quickly (only a few seconds or slightly more), then little more than gross physical affects are realized. When one begins to practice asana, they will indeed spend only a few seconds in each position.